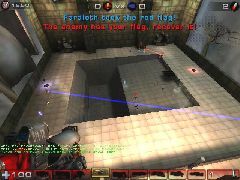 Named for its' open and aggressive gameplay, Frag! 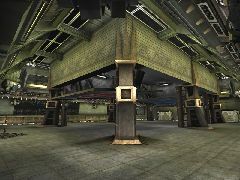 @#$% Arena was originally constructed by Team Vp as a private training facility for the most elite competitors of the original tournament. This infamous arena has been transformed into a state-of-the-art spectator sport facility, boasting an overabundance of carnage and addictive intensity that keeps die-hard fans screaming for more. Frag! @#$% Arena is hailed as the sport's savior for primetime broadcast ratings."